Focusing on Traffic Law At my law firm, Robert R. Hart Jr., Attorney at Law, I have been advising and representing clients in traffic law matters since 1985. By assisting my clients through the legal process, they come to appreciate my dedication, professionalism and personal concern. 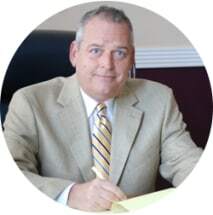 At my law firm, Robert R. Hart Jr., Attorney at Law, I have been advising and representing clients in traffic law matters since 1985. My law firm focuses primarily on traffic defense. A legal problem in these areas affects a person's life in an immediate and tangible manner. An unsatisfactory outcome could have negative ramifications for years to come. I work hard to obtain the best outcome possible given the reality of the situation. I have a strong interest in seeing that our legal system gives young people a second chance. I am committed to representing high school and college students facing all types of adult and juvenile charges. Part of my background also includes protecting individuals' driving privileges when slapped with a traffic ticket for speeding, driving with a suspended license or another traffic offense.